Carriage. Breathe not, speak not, sigh. Your thoughts are too loud. Dinkum Assorted is a vibrant play showing at the New Theatre in Newtown from the 17th November until the 19th December. With fifteen strong female leads, the show bursts with vibrancy and excitement. They bring to life a story of the working women in Warrabadanga, during the winter of 1942, when WWII is in full flight. It’s a story of courage and resilience, with a twang of iconic Australian humour. The New Theatre presented this play with spectacular excitement. The production was very well casted, as each actor played their character to the full- an element not to be forgotten which really helps the audience immerse in the context of the play. Moreover, they’ve got a stellar cast, of experienced, enthusiastic women, whose excitement for the show was infectious and really lifted the performance. Debra Bryan’s portrayal of Connie, the resident outsider, set my teeth on edge- she was just such a brilliant villain of sorts, until of course, we see some humanity and we sympathise with her. Hannah Raven Smith and Amanda Laing were a marvellous pairing, bouncing off each other, with excellent comic timing. The cast was a delight. The play explores the microcosm of Warrabadanga, which represented the Australian experience during the 1940s. I was quite impressed with the authentic costuming and historically accurate references. It’s so refreshing to see a play that champions strong women in a distinctly Australian setting. The actors managed to make the contextual Australian vernacular effortless, like using ‘sheila’ and ‘drongo’ in a realistic sense. While a great night out at the theatre, I really felt that the play was a learning experience as well, like watching a period drama film or the like. Commendations to the set and prop department, who created set pieces that helped us imagine the spaces, wherever the actors were; a biscuit factory, a hill overlooking a quarry, a chook shed. The play was a rollercoaster of emotional highs and lows. We followed the women through their turmoil, as they dealt with personal histories and private angst, and how they intertwined and gossiped, as close-knit communities do. We saw their deflation when the biscuit factory was proposed to be shut down, and we triumphed as they discovered newfound resilience and set their minds on saving the lifeblood of the town. The youngest characters had very real aspirations, and their energy was shared by all. I think the most impressive part of this play was that playwright Linda Aronson gave these characters texture and vitality, and the New Theatre gave them life. The play seemed to lose pace and momentum towards the end of the plotline. Nevertheless, it ended with a bang, with three dance acts, all glittery gold. The main musical numbers were very well choreographed and ended the play on a high with tap-dancing and singing. This play showcased distinctly Australian human stories. I recommend it to all. Most people go weak at the knees when they think of standing up, on stage, in front of a hall of people. Most people would freeze up, feel the trickle of sweat roll down the back of their neck, and their mouth suddenly go dry. Most people wouldn’t dare step on stage with no speech or prompts. Yet, there is a special group of people who do. The Cranston Cup is Australia’s esteemed theatresports competition. Teams of two or more don the stage to showcase a panel of judges and audience members their skills of improvisation. Their prize? Being crowned the winners at the 2015 Cranston Cup Theatresports Grand Final at the Enmore Theatre on the 28th of November. I saw the third semi final at The Factory Theatre in Marrickville and I had a blast. This semi final determined which two teams out of the last six in the competition were to qualify for the Grand Final. My partner and I are fairly new to the theatresports scene. We were alien to the strategies, rules and techniques, but we were explicitly told these by our host for the night, Cale Bain, and his partner in crime and judge, Jane Simmons. Chris Dendle was the resident musical improviser on the keyboard, and he provided ambient music for each scene. In addition to three official judges, each round one member of the audience was invited to be on the judging panel, and this made the audience feel more welcome and excited. Audience engagement was a significant part of the performance, as throughout the competition players asked for specific offers, restrictions of sorts, with which to guide their improvisation. For example, one team asked for a setting and a relationship, and the audience decided a dystopian era, with a shark/octopus relationship. (This was particularly difficult!) Not only was the audience involved in the story-making process, but the quick wit and spontaneous comedy from the players made a evening very entertaining. Throughout each scene, competitors can jump on stage and help each other as props, can challenge teams with proposed scenarios and can work with predetermined topics or own the open stage. I was in awe at the level of confidence that exuded from the players, the teamwork within each team, the hilarious dynamics between team members and the scenarios they came up with. No challenge was too hard. Challenges I saw were that players were not allowed to use the letter S, that all players must be grannies, that they must replay the scene as birds, present a soap opera, or that they must break into dance at random. Improvisation is a skill to be celebrated, and the Cranston Cup is the place to see professional spontaneous comedy at play. I highly recommend watching, even as a first timer. It’s easy to follow, and so impressive to watch. I encourage all to witness the talent and imagination on stage at the Grand Final. Congratulations to Sesame Streetwise, and Sure. Whatever. I Don’t Care. Shut Up Already! as candidates for the Grand Final. 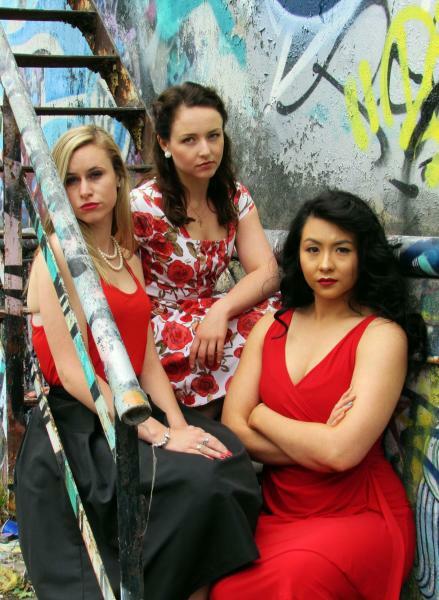 West Side Story- Chatswood Musical Society. 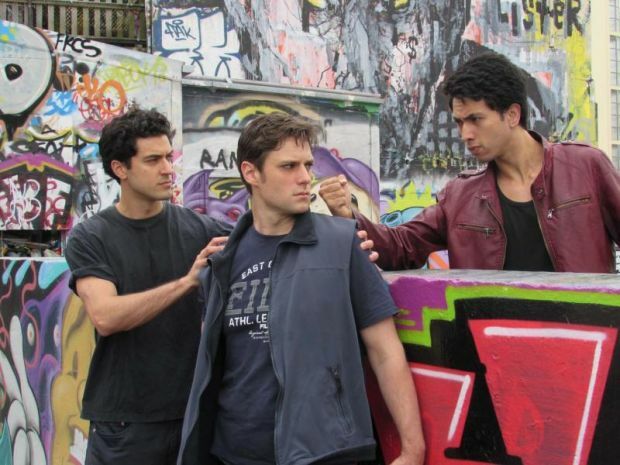 Chatswood Musical Society presents, West Side Story, a classic musical with sweeping Sondheim lyrics, high-energy action and heart-breaking romance. The musical is an adaptation of William Shakespeare’s Romeo and Juliet, set in 1950’s New York. Chatswood Musical Society really captured the electricity of youth culture. They channelled a lot of their focus on the conflict between the Puerto Rican Sharks and the rowdy American Jets. The choreography in the rival dance scenes was fierce, enthusiastic and well executed, and the brawls were organised chaos, as they should be. The strong women were the most impressive for me. Fiery aggression from Susana Downes as Anita really brought passion and emotion to the stage. Anthony Levin and Michaela Leisk were wonderful as Tony and Maria, especially considering that both roles would be very demanding as they require a youthful innocence and some of the most memorable numbers in the show. Their acting was very convincing and I found myself clutching my chest as their star-crossed fate was twisted and muddied. Michaela’s voice was particularly spectacular, it was beautiful and precise. As with any opening night, the performance had it’s share of hiccups, with an unruly set and a delayed start time (due to Sydney’s inclement weather). The cast did well to cope with these onstage hurdles, and the chorus numbers were abuzz with energy and excitement. In their prospective gangs, the cast seemed to be having excellent fun causing a raucous and provoking each other. Their enthusiasm was infectious and carried through to the audience. While the orchestra wasn’t as crisp or clean as previous adaptations I’ve seen, they set the atmosphere and accompanied the singers well. While rowdy gang violence is one aspect of West Side Story, I wonder whether the excessive violence was necessary. There was a particularly graphic scene toward the end of the musical, which I found inappropriate for a general family audience. The scene is a pivotal plot point, where Anita travels into hostile territory to give a message to Tony, however I feel the scene could’ve been adapted more tastefully. West Side Story is a tragic love story, but I felt I couldn’t connect with the ending because I was still in shock, as the final moments snowballed into tragedy. West Side Story is playing at the Zenith until November 21st. As twilight slowly faded, the creatures of the twilight came out. Bejewelled and boat shoed beings slipped from the side streets of Double Bay and paraded into The Sheaf on New south Head road. They didn’t stop there, they thirsted for something more, something higher, something that would promise respite from the stifling Sydney humidity. They danced rhrough the dappled light from the fig tree in the courtyard and, up the side stairs to The Canopy; a new space above The Sheaf. The Canopy seems to operate on another clock. Opening at 5pm, it unwinds the day, teases out your tension and asks nothing more from you than to while away your summer. 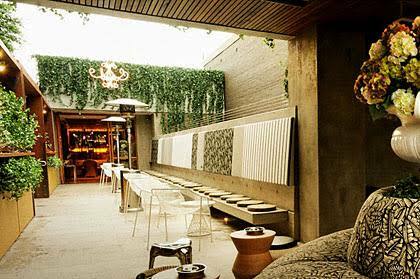 High up in the canopy of the fig tree, the space is botanical themed; moss greens, deep jades and climbing ivy adorned the walls. As the fairy lights twinkle in the momentary movement of the light zephyr, you find yourself perched high above suburbia. Upon arrival, I was serenaded with a Veuve Clicquot to celebrate the launch, and felt immediately at ease with the warm staff and hospitality. The Canopy boasts a great range of gins, tonics and well matched garnishes. Their Lighthouse Gin was served with dehydrated orange and lavender, offering a crisp aromatic freshness to a very clean gin. The Pacific Pearl Punch Cocktail was the very essence of summer in a glass, celebrating notes of passionfruit, fresh mint and hibiscus tea. To keep the wolces away, there were bountiful charcuterie boards, laden with fine delicacies and delicious meats. I sat back and actually induced myself back in Bangkok- the trendy, relaxed aesthetic was a similar change of pace. In fact, The Canopy should be commended for capturing this ambience. They’ve paid close attention to detail, in the lush greenery, encased scientific oddities, mosaic tables and framed botanical specimens like framed butterflies and press dried flora. The DJ created a perfect pulse to set the atmosphere. The Canopy is a fresh new space for summer. A relaxed retreat, with an air of elegance and a touch sophistication.